Yikes, has it really been four weeks since I last posted? Oops. To be fair, my daughter moved home and transferred to a local college, my son started his senior year of high school, and my wife started teaching a new grade at a new school. So, it’s been a wee bit busy around here this past month. Add to that it being the end of the fiscal year and my government customer having deadlines for stuff. Yikes again. Needless to say I’ve been having a hard time focusing on the things I want to focus on. I get pulled in too many directions, get stuck in a cycle of reacting to things, and then never get done the things I want to get done. So, I looked at my productivity system and decided to change something. I’m adding notebooks back into the fold. I’ve always been a little bit of a notebook geek anyway. I love the look and feel of them. I love the different styles, brands, etc. My biggest problem was using them. I use them a little and then pick up a new one and never finish the old one. My closet has a stack of half-finished (or less) notebooks. So, committing myself to using notebooks regularly for my “to do” lists seemed like a “two birds, one stone” sort of thing (maintain focus AND use up some neglected notebooks). I’m not going to go into any more details at the moment, because I’ve only just started using the notebook (within the last two weeks). But I will say it has helped me focus on the things I want to get done on a specific day. I’ll post a whole write-up on this, but currently my notebook is storing only “today’s” to-do items and appointments. I use Todoist digitally to store and sort ALL my tasks (work and personal). I’m still fine-tuning my process of picking and choosing, writing into the notebook, and reconciling complete tasks … so that write-up is still in progress. 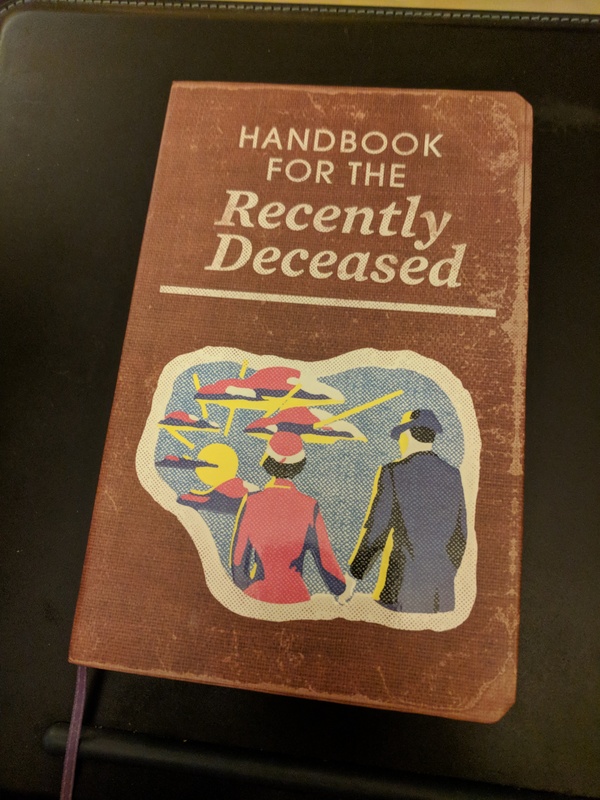 I will leave you with this awesome notebook my wife found for me recently though. I can’t wait to start using it!